Stacia Leigh at Espial Design: ARC winner! Yippee! 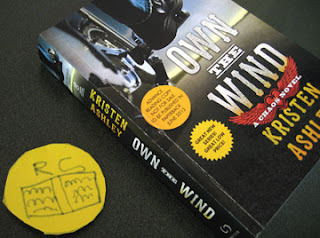 I am very excited to have won an advanced copy of Own the Wind by Kristen Ashley through Goodreads. I am a huge Ashley fan. 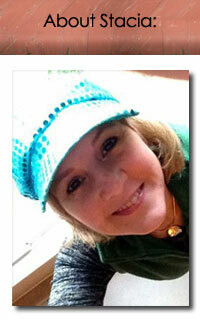 She writes gritty romances with unique story lines and characters AND started as a self-published author. Even with bad editing, her stories always proved a good read. Now, I believe she has an editor and has republished her work. Own the Wind is her latest story in a series about a motorcycle club called Chaos. This is the second book to Motorcycle Man. When the UPS man dropped off the book yesterday, I felt like a dog at the dinner table. Treats! My daughter was so excited for me, that she ran downstairs to draw me an award. It's a gold medal with her initial and mine...and a picture of an open book. What a sweet heart. Just looking at the cover, my husband asked me, "Is the guy supposed to be a poseur?" I told him the hero was probably a tough biker dude. Husband said, "No tough biker dude would wear shoes like that." I studied the cover a little closer and have to agree! Pants are not worn or frayed enough and the boots are not scuffed. I like the cover layout though. I'm looking forward to cracking this baby open. Right now I am reading manuscripts by two of my writing buddies. I'll peel back the covers on Ashley's latest hopefully next week.